I’ll be blunt. I don’t usually write how-to blogger posts. This isn’t that type of blog. But CoSchedule are offering 50% off a year’s subscription for anyone who writes a review and I a) love a bargain and b) don’t think I can actually live without CoSchedule after using the free trial for the past two weeks. Honestly, CoSchedule (*affiliate link) is my new best friend. 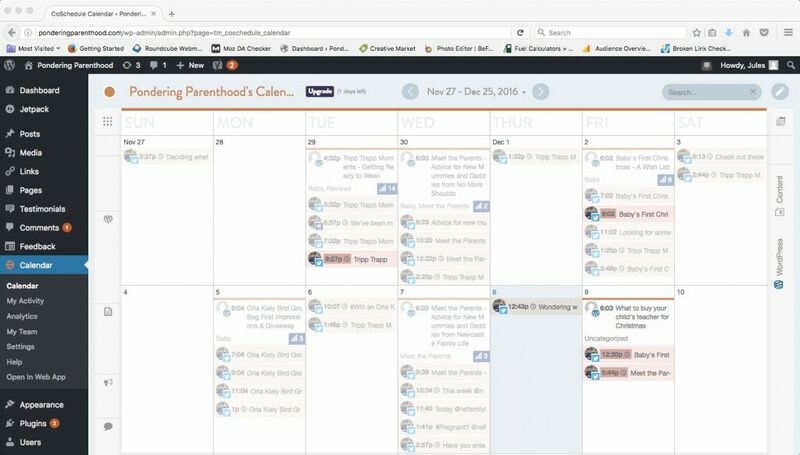 I can schedule all of my social media shares right within WordPress, under where I write the post. Amazing! No faffing around copying at pasting links to other websites to schedule. I can select the social media platform, adjust the message, image and time to my liking, and bingo bango, Bob’s your uncle…done! All on the same webpage as the post I’m writing. You can choose to schedule social media for same day, next day, next week, next month and custom dates. In this photo, you can see how I can share this post in, say Twitter, for later in the same day that the post is published. 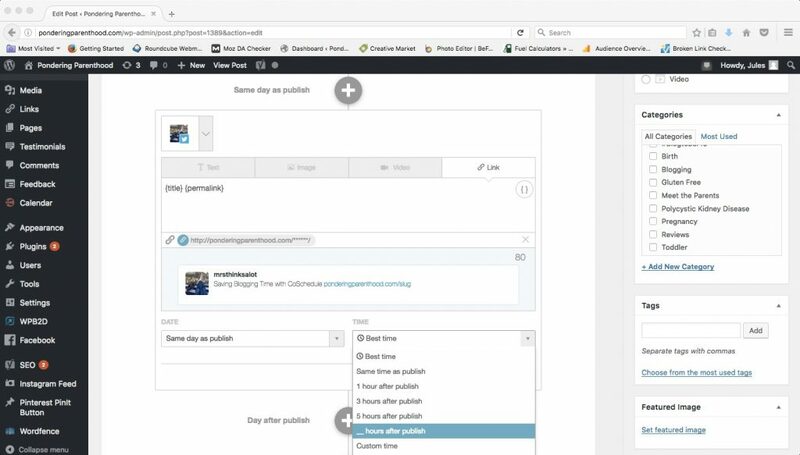 You just scroll down (CoSchedule appears under your Yoast SEO plugin if you have it) and select ‘same day as publish’. Then fill in as many of the options as you’d like to create your social media post. Simple! You can even ask CoSchedule to post your social media content at the ‘Best Time’ – it works out the most effective time for your post to get the best reach! Clever, huh?! There’s also a calendar (again within WordPress) where you can see all of your posts and your social media shares. It’s really easy to see where you’ve got gaps and you can drag and drop posts and social media posts to different days to fill if required. Brilliant! Scheduling posts is the main thing that I’ve used CoSchedule for so far (the trial has only been 14 days; CoSchedule, if you’re listening, at least a month would be more helpful to get to grips with your fantastic product!). However, CoSchedule can lots more than that too. Check out their overview video to find out more. They describe things so much more eloquently than I do! The analytics bit looks amazing – you can see exactly where your posts have been shared and how many times. Here’s a generic image of this as I’m too shy to show you mine! I was pleasantly surprised, though, to find that my posts had been shared all over the place, and up to now I’d had no idea! So thanks, CoSchedule! 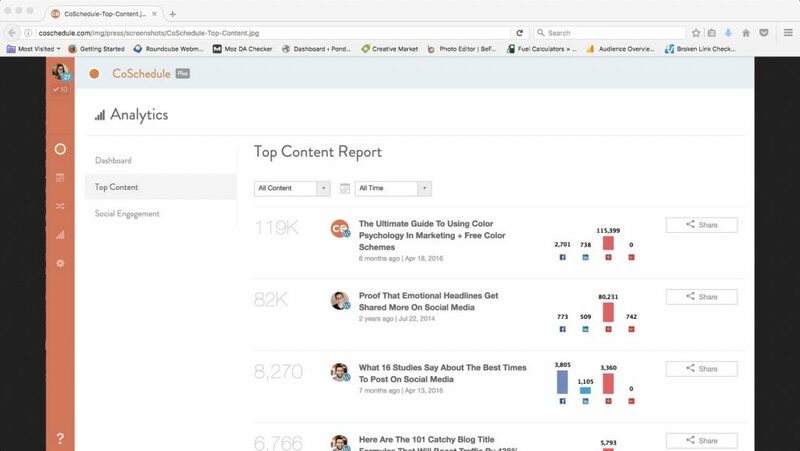 You can also use CoSchedule to reshare your evergreen content, and it has handy tutorial videos to show you how to do this and how to get the best out of your subscription. I’m suitably impressed, so I’m off to sign up for a whole year. If you fancy doing the same, then feel free to do so here! <– This is an affiliate link! Disclosure: I will receive CoSchedule at 50% off in exchange for writing this post. 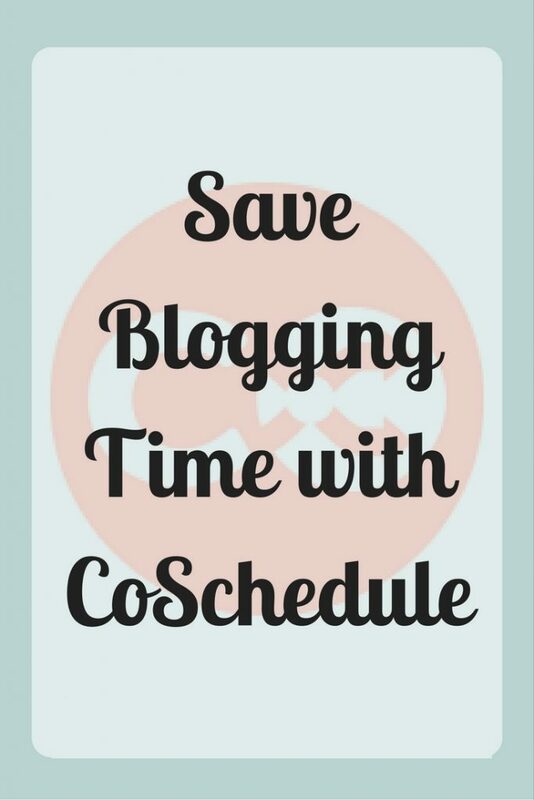 If you use the affiliate links and sign up to CoSchedule (That was an affiliate link, too! ), it will save me a bit of money as well. I’d really appreciate it if you did as 1) it will revolutionise blogging for you and 2) it will make my husband less angry when he finds out I’ve paid for something else blog-related. Thanks in advance! "What to buy your child’s teacher for Christmas"
"Meet the Parents – Advice for New Mummies and Daddies from Newcastle Family Life"
Hey Julie! Thanks for the great review! Our team really appreciates it.